Showing results by author "Dileepji Pathak"
The 5,000-year-old science of kundalini maha yoga uses specific sound syllables known as mantras with the power to restore the flow of prana (vital energy) throughout your body and consciousness. According to the tradition, just listening to these sacred sounds once or more each day can lead to profound changes in your life. 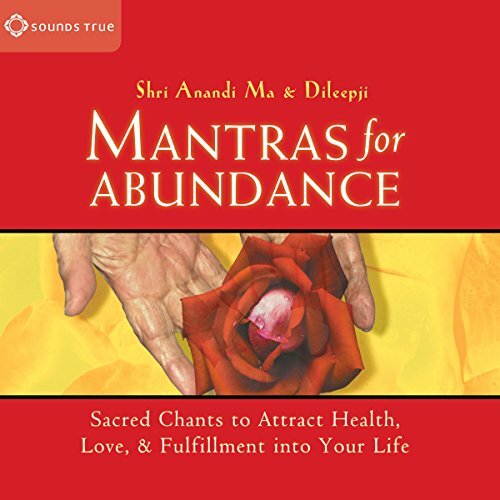 Join Shri Anandi Ma, a revered singer-saint and sound healer, as she chants specific mantras intended to help attract abundance in matters of personal relationship, material sustenance, creativity, and spiritual fulfillment. Four authentic chants to alleviate fear and activate peaceful inner states. These sacred chants are intended to subtly unblock rigid thought patterns and redistribute life force among the bodys chakra centers. Simply allow these sacred sounds to wash over you to experience their calming effects. With Shri Dileepji Pathak. The yogic healing arts of India - a tradition that dates back at least 5,000 years - postulate that all illness is the result of a disturbance in the prana, or human energy field. On Healing Mantras, Shri Anandi Ma, respected master of the Kundalini Maha Yoga lineage, chants three mantras said to reestablish balance specifically on the level of the prana.